Note Cards - I can never have enough of them personally. They're great to have on hand when you want to write a quick note to someone as a reminder that you care for them. 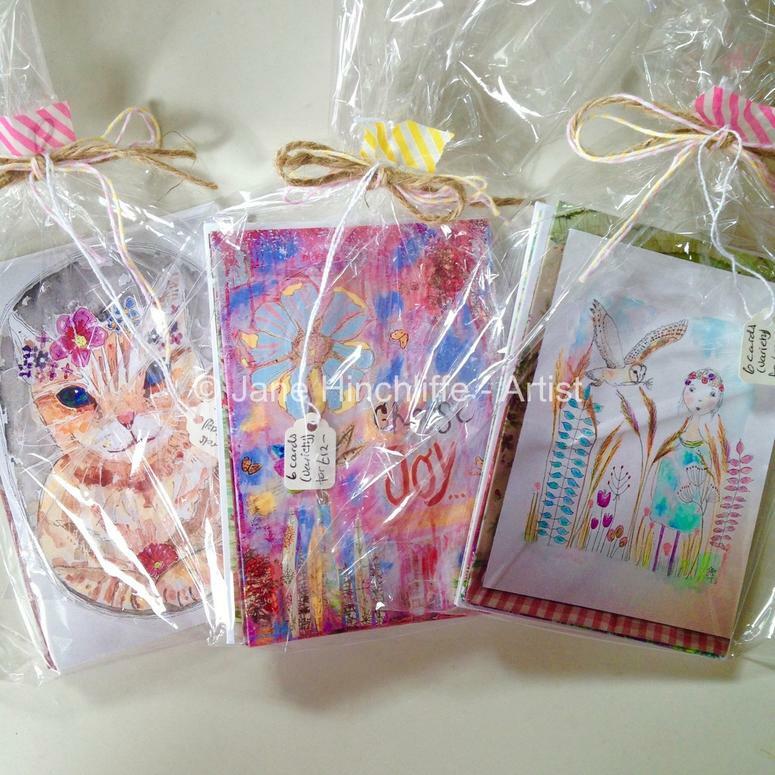 Each set of Note Cards consists of six different pieces of my artwork printed onto these very high quality note cards - it makes keeping in touch really special. As an extra touch, each envelope is partially lined with a splash of colour. According to an article written by the both equally funny and entertaining Sue Perkins (Bake Off presenter), the Royal Mail indicate that nine out of 10 people particularly enjoy receiving a hand-written letter. Not surprising really. In The Lost Art of Letter Writing (article from The Guardian newspaper), it suggests that from time to time we enjoy putting our keyboards away in order embrace hand-writing once again. Yay!!! So hooray for getting out your fountain pen, biro or coloured felt tip and sharing a little of your life with someone else - it'll brighten up the recipient's day no end. PS. I also have individual blank greeting cards if that is your preference.